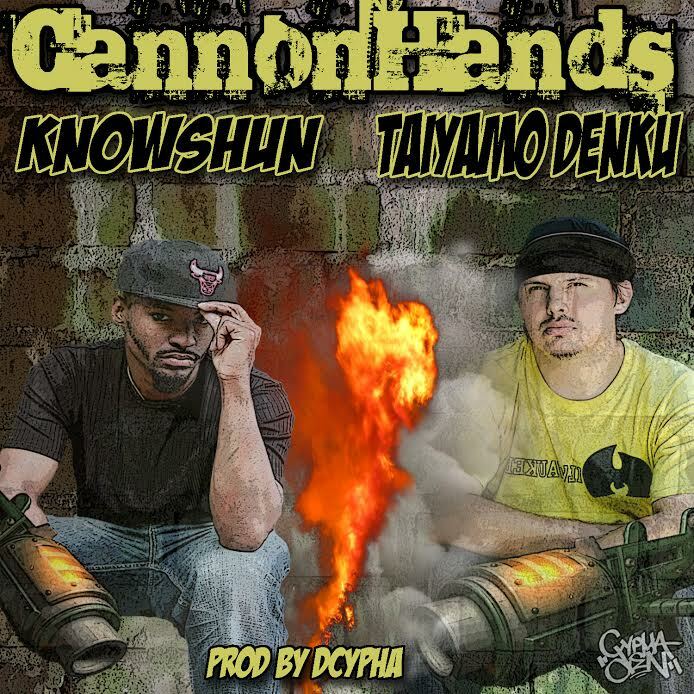 Home / audio / Australia / CannonHands / Cypha Den Music / Dcypha / Hip Hop / Knowshun / MUSIC / single / Taiyamo Denku / Wisconsin / Weak Emcees Take Cover As @TaiyamoDenku @knowshun & @dcypha Fire Off "CannonHands"
Weak Emcees Take Cover As @TaiyamoDenku @knowshun & @dcypha Fire Off "CannonHands"
Cypha Den Music is back with yet another rock solid Hip Hop release titled "CannonHands". 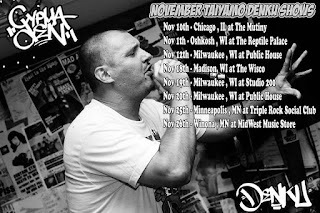 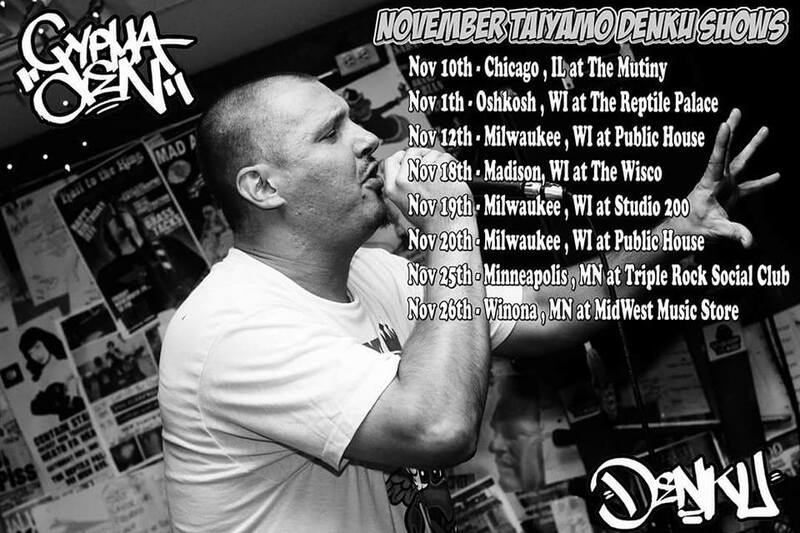 We find rhyme ringleader Taiyamo Denku kicking things off followed by a wicked verse from fellow Wisco emcee, Knowshun. 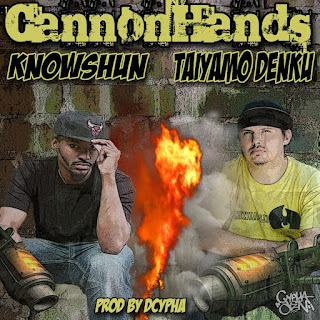 With Australian producer Dcypha once again handling the production role, the trifecta produces a neck nodding hit complete with DJ cuts and a Beastie Boys sample within the hook. 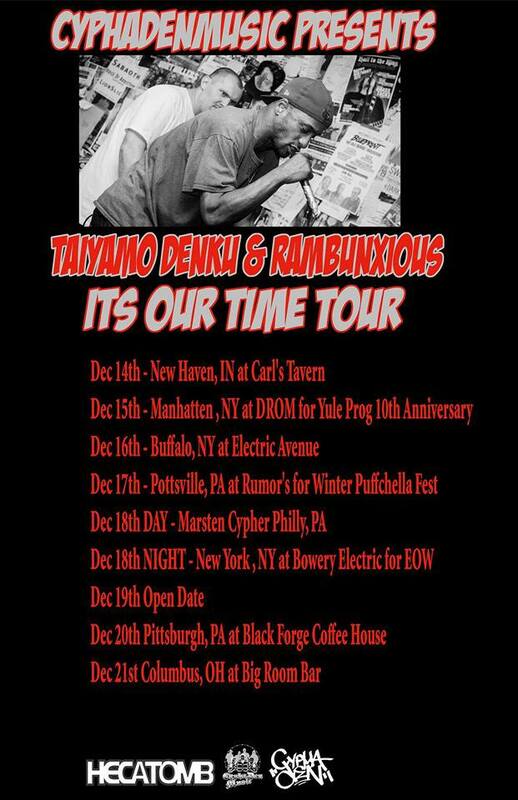 Both Denku and Knowshun are well known for their bar work within the battle circuit, which shows vividly throughout the audio, which can be streamed and downloaded for free via Soundcloud. 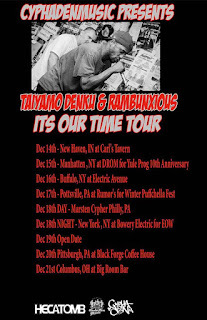 Also make sure to catch Taiyamo Denku performing at a venue near you in the Midwest and then following a East Coast tour with fellow CDM artist, Rambunxious, for the "It's Our Time" tour.